I love it when I google something and, instead, wind up finding something different yet wonderful. In this case “rice sculptures” landed me at New York-based, Japanese artist Nobutaka Aozaki’s website, who has, in fact, made rice sculptures, but it was all his other projects that really caught my eye. These works/projects are more about the concept than the final product, but each and every one made me smile with its cleverness. 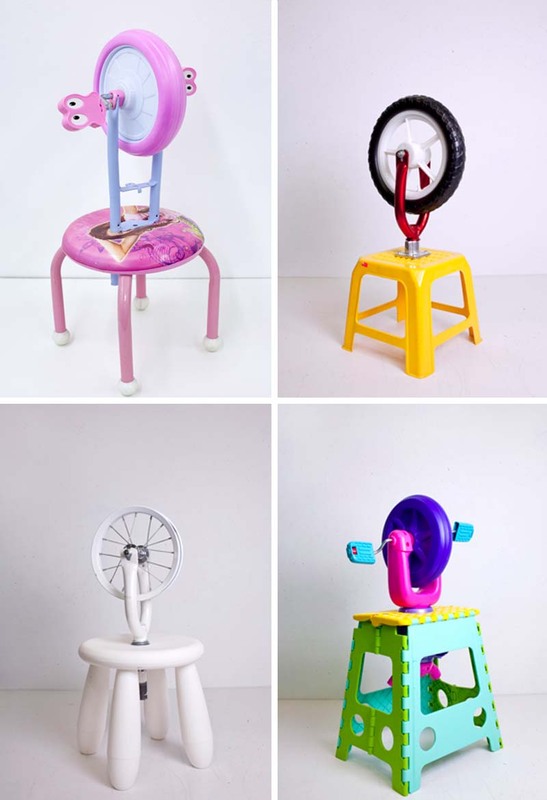 Children of Duchamp is a series of variations on Duchamp’s first Readymade Bicycle Wheel with simple combinations of assorted premanufactured wheels and stools from everything including Ikea furniture to Playmobile and Barbie toys. In Value Added, Aozaki took a can of Del Monte corn to multiple supermarkets and re-bought it. This single can of corn has been re-bought from 105 supermarkets for a total of $113.07 (as of June1, 2013) and both the can and receipts have been kept. I love that! 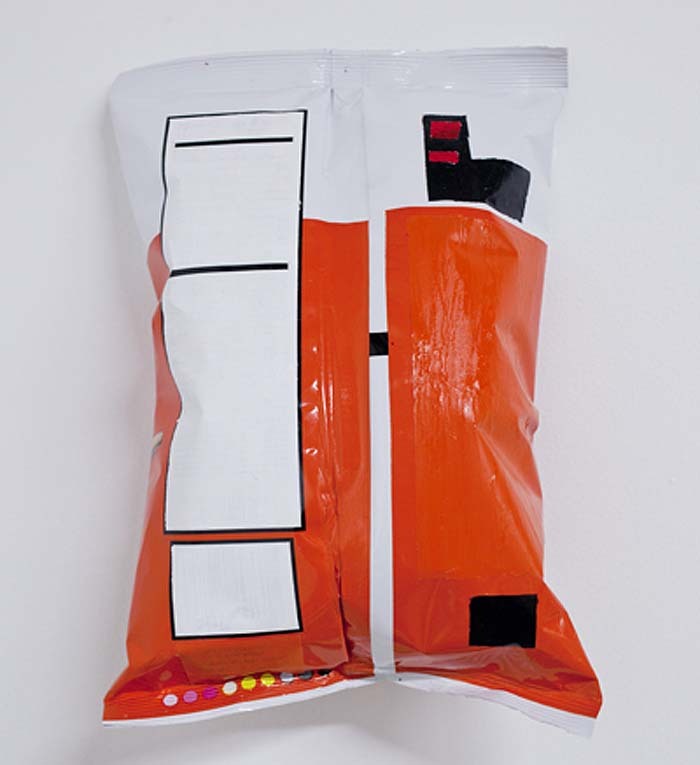 In his project titled Open Bag, the artist walked around the city with his backpack unzipped recording the voices of strangers alerting him to the fact his bag was open with a recorder within the bag. Later, the recording of these interactions is returned to the open bag and played back. Yes, it’s a little nutty, but just great. And there’s plenty more, so if you liked these I recommend you check out the rest.